Students learn from faculty with business and marketing experience who also serve as strong advisors and mentors. Build and refine your skills and knowledge while you learn how to bring your idea into an actual business venture. Balance classroom theory with project work for actual businesses through the Center for Rural Entrepreneurial Studies (CRES). The best entrepreneurs are those who possess a solid functional knowledge of the business world, the skills and vision to inspire and motivate others, and the ability to navigate change and persist in the belief of their ideas. 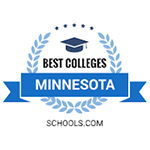 The University of Minnesota Crookston can help you strengthen your skills and expand your knowledge base while mentoring your enthusiasm and drive. Entrepreneurial behavior is increasingly recognized as a critical necessity for growth of the economy—both here in the U.S. and internationally. The primary driver of economic growth is the creation of jobs by small businesses. UMC’s major in Entrepreneurship provides students access to education and training in skills and behaviors related to the recognition of ideas and potential ventures, feasibility evaluation, assembling resources, and launching of new ventures. Entrepreneurship grads add immediate value in any organizational setting, whether starting their own venture or serving an organization as an employee. The field of entrepreneurship offers considerable career flexibility and opportunity advancement in many areas. A strong entrepreneur has knowledge of business development and finance as well as creativity, innovation, and drive. UMC students receive training and practical experience in entrepreneurship delivered by faculty who excel in mentoring students to their greatest potential. Graduates with a UMC Entrepreneurship major will have the opportunity to advance to positions of leadership and build rewarding careers that create economic and social value, strengthen society, and enhance quality of life on a global scale. The underlying quality of a successful entrepreneur is the ability to create and develop sustainable business ideas and adapt to changing conditions. Students will learn and refine a broad range of skills including opportunity recognition, applied creativity, small business finance, and business plan and strategy development. As the applied learning campus of the U of M system, UMC hires faculty and staff who work to ensure our graduates can make an immediate contribution to their employer’s efforts. Our faculty mentors, staff advisors, and curriculum help students take control of their career by gaining a sound base of theoretical knowledge and a strong grasp of how to approach problems and opportunities in a fast-changing world. The University of Minnesota Crookston has a tradition of providing experiential learning, and its Business Department has long embraced an applied approach to course delivery, infusing significant “learning by doing” elements into its curriculum. As part of its land-grant mission, UMC is dedicated to serving the economic and social needs of the region and state. A student majoring in Entrepreneurship can enhance the work of the UMC’s Center for Rural Entrepreneurial Studies (CRES) and Economic Development Assistance (EDA) Center in assisting entrepreneurs and economic development entities in their efforts to build businesses, communities, and regions. Through course-based team projects and coordination of internships, students gain experience and assist CRES and EDA in helping actual clients make better decisions about future actions. Student exposure to these field-based projects enhances their learning and provides them the opportunity to start developing a network of contacts, further enhancing their options for employment in the region after graduation. UMC’s Business Department also offers majors and minors in Accounting, Finance, Management, Manufacturing Management, Marketing, Quality Management, and Sport and Recreation Management. Students may wish to double-major or select minors that further enhance their career plans. Another popular major that works well with Entrepreneurship is Communication, which is offered by UMC’s Liberal Arts and Education Department as both a major and a minor. UMC graduates possess a sound working knowledge of finance, creativity, and business planning, and they benefit from the real life experience of others. This education gives graduates a prospective edge in the labor market. Taken together, all these elements add up to an exceptional educational experience for students completing a major in Entrepreneurship at UMC. The demand for new entrepreneurs is essential for the country’s economic growth. Small and medium-sized enterprises (SMEs), firms with less than 500 employees, comprise the great majority of private sector jobs in Northwest Minnesota. Entrepreneurship majors not only intelligently and astutely prepare to launch and grow their own business, but also equip themselves with highly transferable skills important to any organizational context. They also often have a special creativity and persistence that help them keep moving ideas forward. Graduates of UMC’s major in Entrepreneurship will be particularly well-suited to employment in local, regional, and state economic development agencies. This is because they will have become well-acquainted with programs available to assist entrepreneurs and small businesses at various stages of development, and how to properly utilize them. This degree also provides a solid training ground for career positions in commercial banking, particularly at institutions that frequently utilize Small Business Administration (SBA) loan guarantee programs. While it can often entail starting a new business, a career-track in entrepreneurship exists in nearly every industry or organization. Entrepreneurs work to develop ideas, create and refine products and services, and grow companies and industries. They sometimes, but not always, work for a family-owned business or for themselves, but many work within traditional companies and organizations. Entrepreneurial skills are valued in every industry, so opportunities are nearly endless.